Unlike the other breads in the “challenge“, I’ve made this one many times. It is in fact our default sandwich bread, that I bake on weekends and slice and freeze for later in the week. It’s a straightforward recipe, with white and whole-wheat flours, dry milk, a little sugar, butter, and commercial instant yeast. Knead it until smooth, allow it to rise and shape it as a loaf; let it rise another time and bake it. Really, easy as pie! I made it for the first time after reading this post at Smitten Kitchen. She expressed my feelings exactly: a person who loves good bread and enjoys cooking (that would be me, and I am sure many of you, who read food blogs… 😉 ), cannot possibly settle for what is sold at grocery stores as sandwich bread. Eighteen breads down, twenty-five to go! 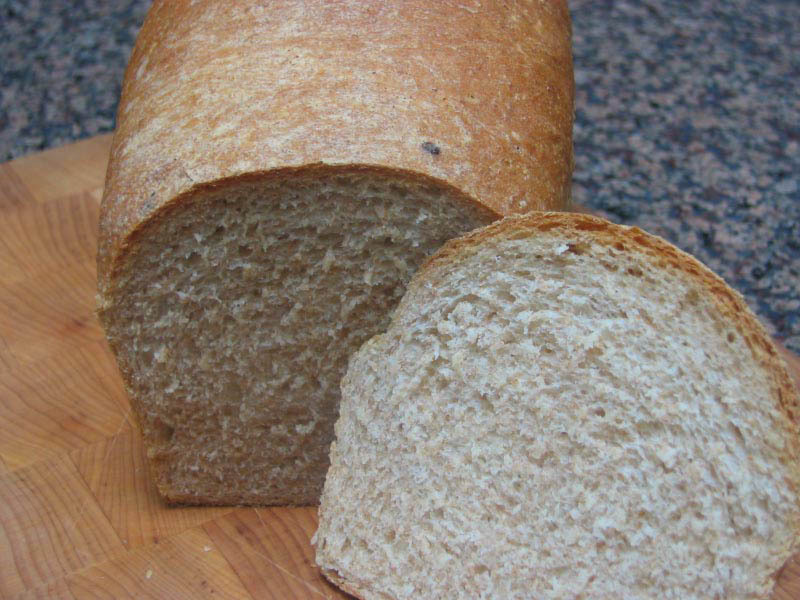 Your light whole wheat bread looks superb. I really enjoyed this bread too! Thank you for including my blog in your links. Your bread looks perfect. 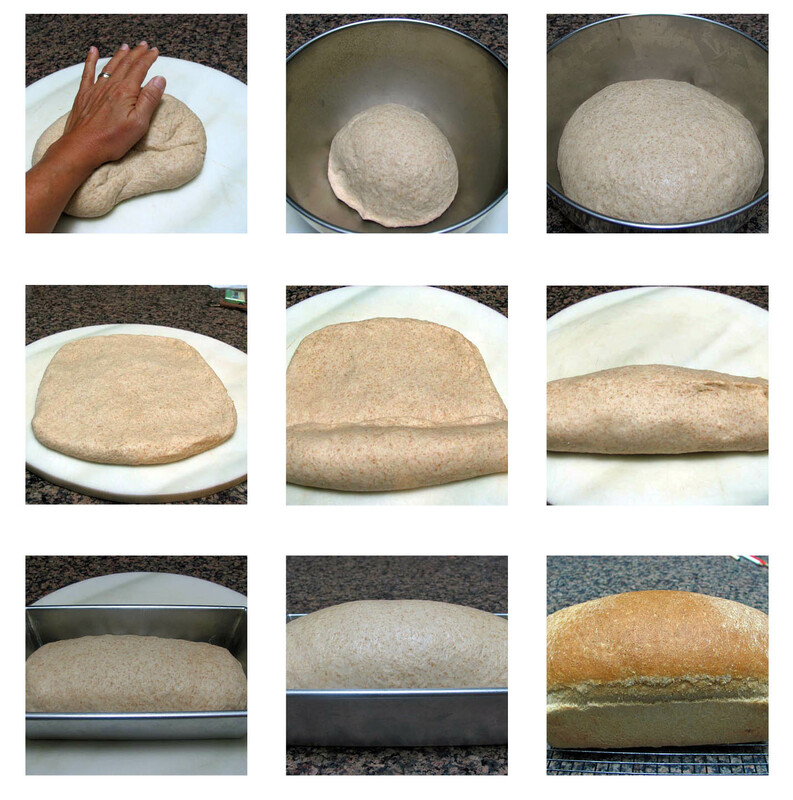 Wonderful step by step photos, and great crumb shot. The bread looks fresh and delicious. I have always had ideas about baking bread fresh and freezing for later in the week. I am so envious, you do that! Nothing compares to a fresh homemade loaf of bread.